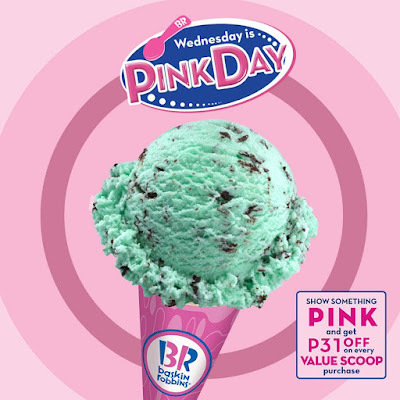 It's Pink Day Wednesdays at Baskin-Robbins! 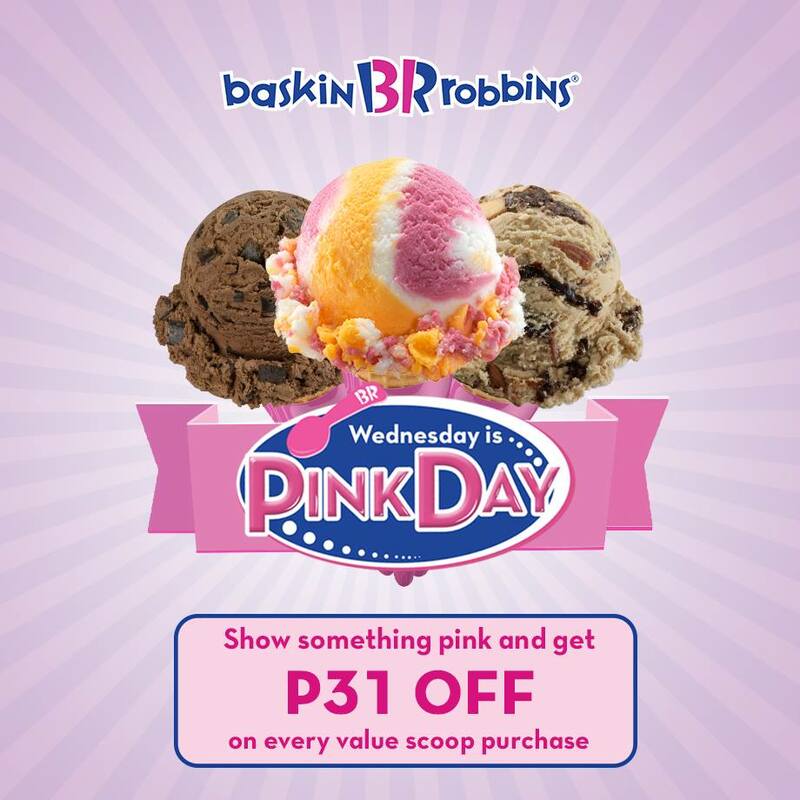 Show something PINK and get P31 OFF on every value scoop purchase. 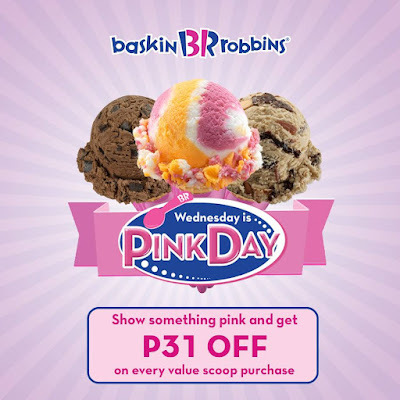 Valid only every Wednesday.